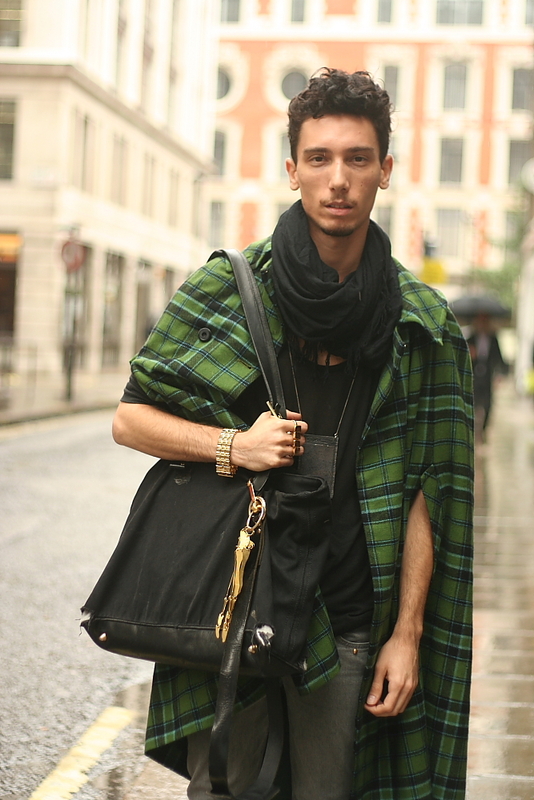 I'm originally from Milan, but I've been living in London for three years. I still go to Milan 2-3 times a month and I love how everyone there knows their fabrics and appreciates good quality and style. Here, on the other hand, people can be much more adventurous, but there are also very many of those whose style and knowledge in fashion is dictated only by what high street shops offer and promote. I never buy anything from such places and, instead, I prefer young and upcoming designers. And to be honest, I have noticed that thanks to the recession many people have started to appreciate the quality again. So, I think this crisis in fashion industry, and in the economy in general, could actually help to narrow the differences between big chains and young designers. I work as a fashion PR for Katie Eary, Katie Rowland and Ugo Cacciatori, so I can get so many amazing pieces from them. At the moment, I'm really into this pirate style, which I have combined today with a trampy Sherlock Holmes look, but my personal style changes somewhat drastically in every couple of months. The attitude that he brings really makes this outfit that much better. Great find! 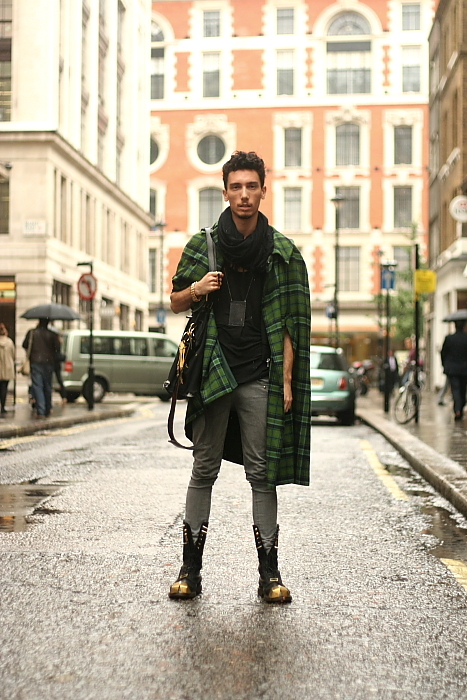 Oh that cape and those shoes, they look very cool mixed together, it's unexpected. Fantastic outfit. I agree with Brittany, the attitude really brings something to this photo. What really gets my attention? The accessors. Left for assumption. I love that coat! Its so original and unique! Sherlock Grunge! I gotta have those boots...still trying to find a great pair...boohoo for me! wwwooowww perfect look, ok i wanna have the shoes!!! !